Ron Monroe has been our go to lender here at DMG since 2003. If the last name seems familiar, it is Derrick & Ron are brothers. Ron works with Midwest Mortgage but offices right in the DMG building so he’s close and all hands on deck when a client comes in. Midwest Mortgage offers more options than the typical lender because he can literally shop around hundreds of potential money lenders for the best rate and terms for his clients. Ron has helped hundreds of DMG clients and has been a welcomed asset to the company. Ron also spends a lot of time with his family & granddaughter. During non-work time you can also find Ron enjoying Football, boating, hunting and hitting the gym. 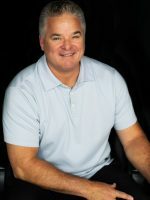 If you ever find yourself needing a home loan or to refinance we hope you’ll reach out to Ron with Midwest Mortgage. Monroe truly goes above and beyond and DMG is glad he has chosen to work with our group!